Once I had missioned along Shaftesbury Avenue – not for the faint-hearted – and divined which of the doors would let me into the ‘house’ I was wafted through to the red room – I believe chosen purposefully because of the notable red gown both on the front cover of Rosie Nixon's debut novel, The Stylist, and a running theme through the narrative. I don’t often get to go to author launches in my hometown of Norwich, even though it’s a wonderful, and very bookish, city. So when I found out that Heidi Swain was having her book launch around 20 minutes from me, not to mention all the great things I’d heard about her debut novel, The Cherry Tree Café, I jumped at the chance to go. Arts Desire is a wonderful combination of crafts and cake – an arts shop, craft lounge and café in Norwich’s Golden Triangle. It was the perfect venue for Heidi’s launch, and quite difficult not to leave at the end with a whole bagful of crafty things. A kit to make a felt sheep particularly caught my eye, and I might well need a return trip. Arriving at the HarperCollins offices smack-down in front of the Shard, I was mightily impressed by the stunning view from the building over London. We picked up drinks from the bar (Baileys in my case, yum), bagged our front row seats to the event and spent some time strolling along the premises; spotting famous landmarks as the sun went down over the city and admiring the HarperCollins book wall (yes, they have an actually wall made out of books!). I've been wanting to work in book publishing for ages and having seen the amazing new HarperCollins offices I now really want to work for them (if you have sway with the Harper hiring team please get in touch!). Win! A Place on the Judging Panel of Jenny Oliver’s Pie Bake Off! We’ve featured some awesome competitions over the years, but this one could possibly be the tastiest. Three words: Pie Bake Off. And you could be on the judging panel! To celebrate Jenny Oliver’s delicious new Cherry Pie Island series – starting with The Grand Reopening of Dandelion Cafe on March 27 – baking aficionados are being invited to put their best … err … crusts forward. The Pie Bake Off will be held at the delightful Paper Dress Vintage in quirky Shoreditch, London, on Wednesday 8 April at 7pm. Anyone who would like to enter can and will be encouraged to gather their friends and bring their very best pie – sweet or savory – to the table for a chance to win a gorgeous artisan KitchenAid and a Hula Lula makeover. A fabulous room in Soho at the gorgeously intimate Blacks – a members only club in London – was the setting for the pre-launch party of Helen Lederer's debut novel Losing It. Helen was keen to mingle with bloggers, journalists and the like and was as hilarious and warm as you'd imagine from her comedienne persona. Her book Losing It is an example of her new made-up genre Mid-Lit – "always make up your own genre everyone else will follow" – and looks to be a great, energetic read if the first few chapters are anything to go by. Helen read from the novel, made a speech, schmoozed the room and ensured we all had enough food and wine. It was a lovely afternoon and we were thrilled to see other bloggers Kim and Rea, rub shoulders with women's fiction authors such as Rebecca Chance and eat ALL the lemon meringues. All of them. Thank you so much Helen for the invite and lots of luck with the book! 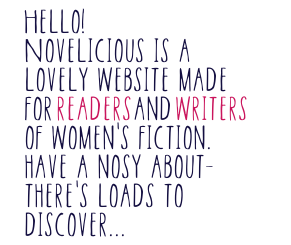 There are some perks that come with being part of Team Novelicious; a lovely team of bookish women to chat to, an interesting look at the latest reads, the hot gossip about favourite authors ... And then there are The Perks. The particular perk I am talking about is a fancy invite to partake of brunch at The Ivy with American Book Royalty – Patricia Cornwell. I practically fell off my chair as I accepted with impressive speed. Off I popped on Monday to The Library at The Ivy to sit with some fabulous journalists from the big nationals and talk corpses, crime, the Ripper, politics and feminism over delicious croissants, bacon butties and hot coffee. Patricia was a fascinating woman with plenty of stories, witty one-liners and brilliant insights into the characters she has created. We heard the news that she is developing a TV series for CBS with a wonderfully complex protagonist and listened as she described riding a helicopter – I really had no idea it was so complicated. It was great fun to have the opportunity to meet such an exciting writer and I would like to thank HarperCollins for having us there.